Click here to view Flickr source. The transformation of wild nature into productive nature was central to the symbolism of the Fascist regime at the inception of New Italy. Efforts to realise this transformation amounted to a physical representation of the civilizing value that Fascist ideology assigned to agriculture. Among these efforts, the land-reclamation project to combat malaria (bonifica integrale) that started on the Pontine Marshes in the 1920s was symbolically the most important. Ponds were drained, glades filled, forests cleared, new towns founded and settlers relocated from all over the country. 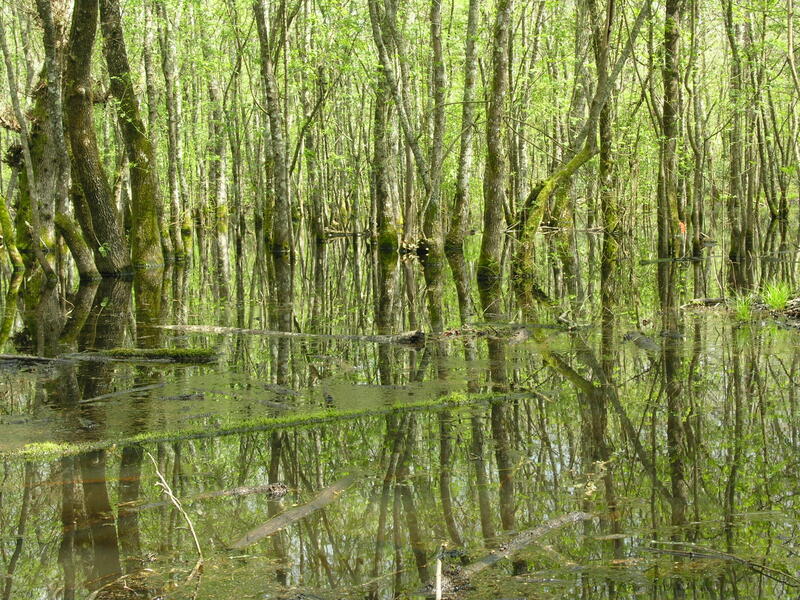 The regime claimed to have eradicated malaria in the region, but it also destroyed many wetland ecosystems in the process. The creation in 1934 of the Parco Nazionale del Circeo (Circeo National Park) came as a by-product of this environmentally ruinous reclamation program. Of the original 20,700 hectares of forest and swampland, 3,270 were put under protection to serve, in accordance with the aims of Fascist propaganda, as a reminder of how the region supposedly looked during the Roman Empire. 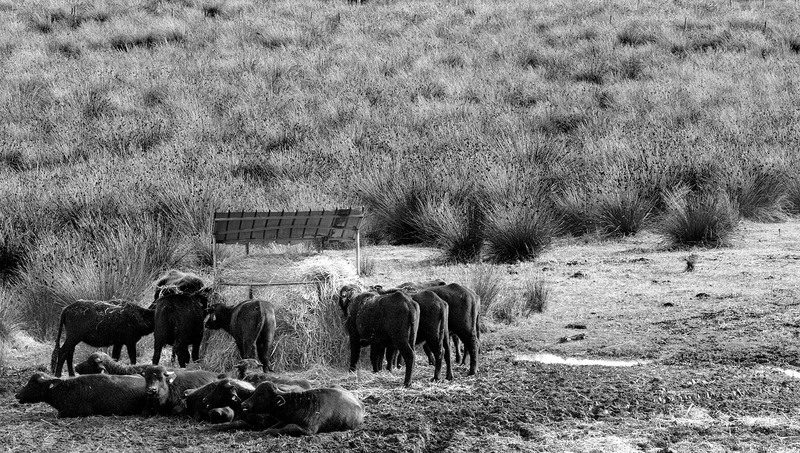 Archaeological remains and water buffaloes symbolized a lost rural majesty. Moreover, 700 hectares were reforested with alien species, such as eucalyptus, in order to recreate the windbreaks formerly provided by the Mediterranean marquis but damaged during the reclamation works. 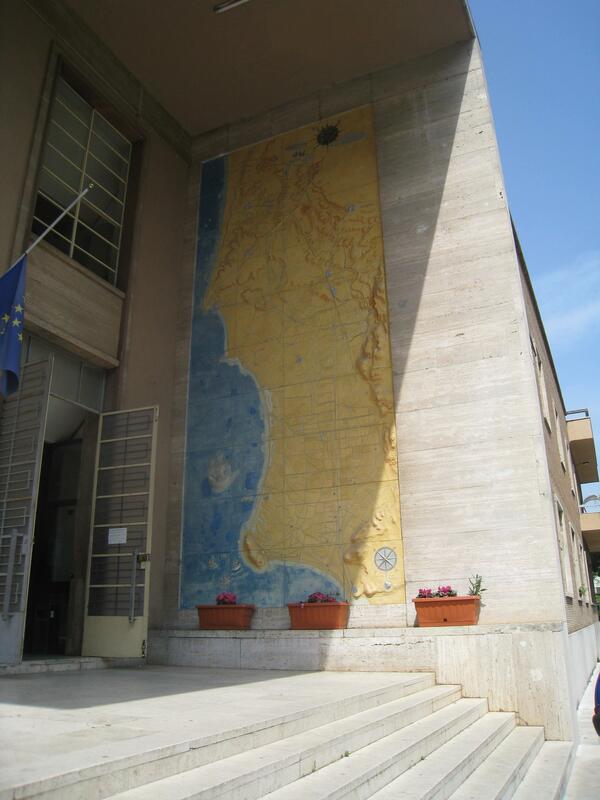 Relief map of the Pontine Marshes drainage system, located at the headquarters of the Consorzio di Bonifica dell’Agro Pontino. The park, like the rest of the Pontine Marshes was subject to the bonifica integrale, therefore constituted a largely man-made environment. It was even advertised as the new wood reserve for the capital as well as a source of wood and work in the winter season for the new settlers of the Pontine Marshes, not to mention a convenient and healthy tourist destination for town-dwellers. The Fascist regime portrayed the ‘natural’ landscape as beautiful, healthy and worthy of protection precisely because of its utilitarian value and potential in terms of employment. Hardenberg, Wilko Graf von. “Circeo National Park: Fascist Land-Reclamation and Conservation in the Pontine Marshes.” Environment & Society Portal, Arcadia (2013), no. 4. Rachel Carson Center for Environment and Society. https://doi.org/10.5282/rcc/5057. This refers only to the text and does not include any image rights. Please click on the images to view their individual rights status. Binde, Per. “Nature versus city: landscapes of Italian Fascism.” Environment and Planning D: Society and Space, no. 17 (n.d.): 761-775. Frost, Ruth Sterling. “The Reclamation of the Pontine Marshes.” Geographical Review 24, no. 4 (October 1, 1934): 584-595. Saba, Andrea F. “Cultura, natura, riciclaggio. Il fascismo e l’ambiente dal movimento ruralista alle necessità autarchiche.” In Storia ambientale: una nuova frontiera storiografica, edited by Andrea F. Saba and Edgar H. Meyer, 63-110. Milano: Teti, 2001. Wilko Graf von Hardenberg is a modern historian focusing on socio-political aspects of nature perception and management in Europe and the history of the environmental sciences. He holds a degree in history from the University of Torino, Italy, and a Ph.D. in geography from the University of Cambridge. He was a postdoc, funded by the Autonomous Province of Trento, at the University of Trento, Italy, a Carson Fellow at the Rachel Carson Center in Munich, Germany, and a Scholar-in-Residence at the Deutsches Museum in Munich, Germany. His most recent research projects focus on the history of nature conservation, management, and rhetoric in the Alps and on the development of the idea of mean sea-level.